Heartworm is a preventable disease caused by a parasitic roundworm, spread by the bite of an infected mosquito. It is found worldwide but is endemic to some regions of the United States. In Canada, it is commonly found in Ontario but has been located in other provinces, especially when dogs from infected areas are relocated to previously uninfected areas. It can occur in any dog or cat that is not on a broad spectrum anti-parasitic drug. 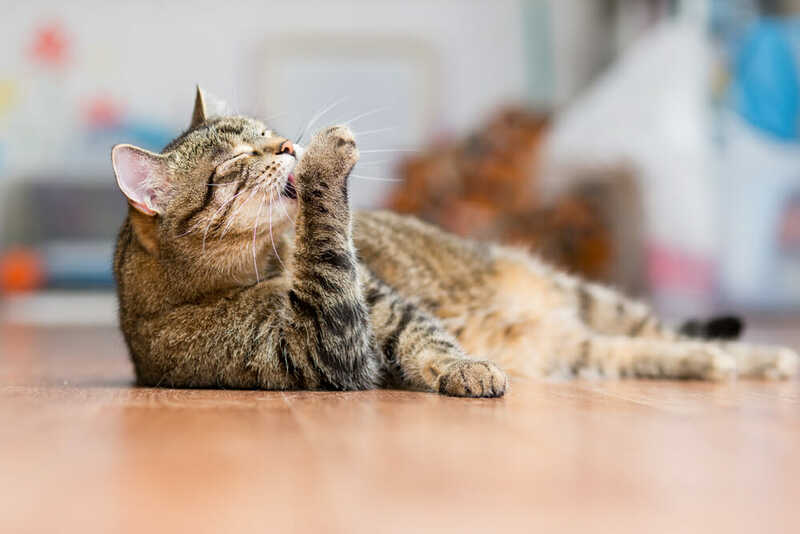 Cats are an atypical hot and have fewer adult worms (1-3 vs 100 or more in dogs), but they may still get permanent lung and heart damage as a result. A Heartworm Antigen Test diagnoses it, done in the clinic with a blood sample. Radiographs and echocardiograms may also be needed. Routine screening is recommended to catch the disease early when treatment is the safest and most effective. Prevention is aimed at killing the larval stage of the heartworm before they can mature into adults. For cats, we recommend Advantage Multi, Interceptor, Milbemax or Revolution. For dogs, we recommend Advantage Multi, Interceptor Plus, Revolution or Sentinel. They need to be given on a monthly basis due to the lifecycle of the worm. Symptoms in dogs are based on the number of worms and the duration of infection. Most dogs will show only mild signs, perhaps an occasional cough. If the infection is severe, with a higher number of worms, dogs may show an acute onset of anorexia, lethargy, weakness, respiratory distress, dark red urine or collapse. They may present with abdominal fluid, an enlarged liver or spleen, an irregular heartbeat or heart murmur. The worms may also migrate to the brain and eyes resulting in seizures and blindness. The prognosis is much better if the symptoms are mild. As they progress, dogs can have a 30-40% mortality rate with multiple organ failure. Female mosquitoes become an intermediate host after feeding on microfilaria positive dogs. The microfilaria (baby worms) then develop into larvae in the mosquito. When the mosquito then bites a second dog, the larvae are deposited on the dog’s skin, entering the bloodstream through the puncture site. Over the next 6-7 months, the larvae mature and migrate to the heart and lungs of the dog. They can produce more microfilaria two weeks later that will then be picked up by another mosquito that will re-infect another dog. The adults can live in the dog for 5 to 7 years and can reach up to 12 inches long. Treatment depends on the severity of the infection. The dog needs to be stabilized first, then the adult worms and the microfilaria must be killed. It usually requires multiple injections months apart. In the worst cases, the dog may need surgery to remove the adults along with oxygen support, intravenous fluids, blood transfusions, steroids, and antibiotics. Recovery is challenging for two reasons. One is that the dying heartworms may cause an anaphylactic reaction in the dog. Secondly, the dog must have restricted activity for 4 to 6 weeks as the adults and microfilaria are killed. It often means crating the dog. This is to prevent pulmonary thromboembolism, or blockage of the vessels, by the worms. The more active the dog, the more blood flow, and the more damage to the heart and lungs will occur.